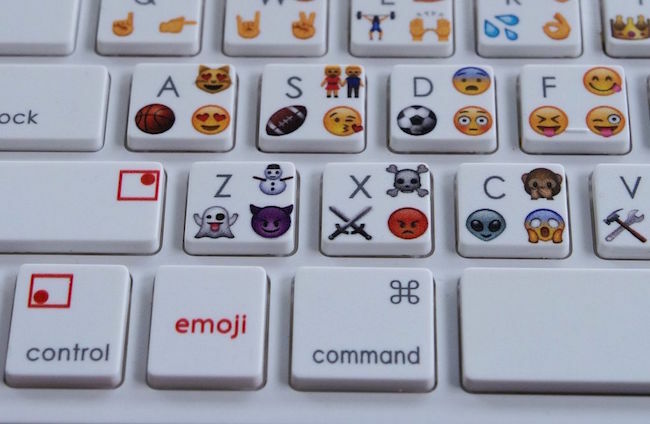 Are you tired of hunting the emoticons by switching to emoji keyboards every other time? And well, using emojis on PCs have always been a hassle too. The trend of expressions has changed with time and people now prefer using emoticons over plain text replies. Like plain texts are so damn conventional; we want something out of the box. What if emoji use becomes easy? Yes, using emojis will now be super easy and fun with this Emoji keyboard by EmojiWorks. The company has announced its new keyboard that is chic, stylish and unbelievably cute. The keyboard allows you to make use of emojis without hours of searching. 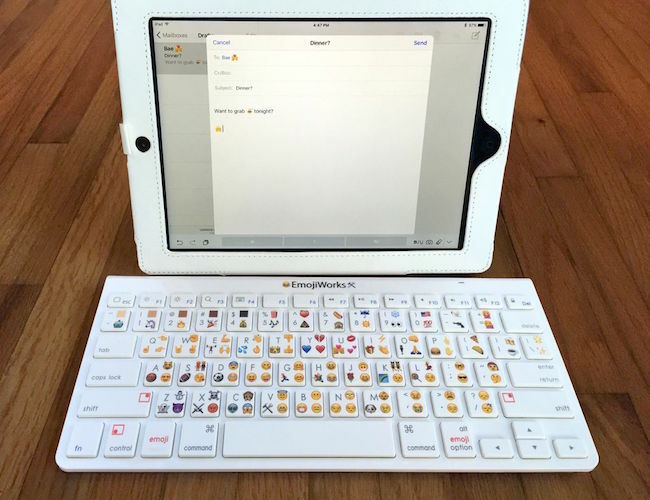 The emoji keyboard is a wireless one and can connect to windows, Mac as well as iOS devices via bluetooth. 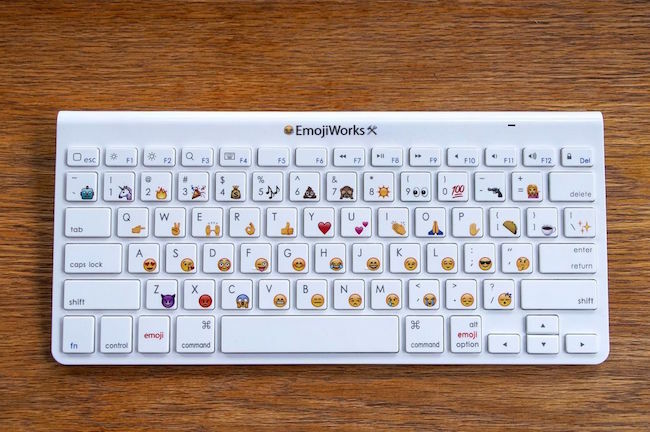 It has all the normal keys and functions sported by regular keyboards in the market and it gives you an additional function in the form of emojis. Emoji Keyboard: a total of 47 emojis to pick from. Emoji Keyboard Plus: a total of 94 emojis to pick from. Emoji Keyboard Pro: you have a whopping total of 120 emojis to pick from. The plus and pro versions have an emoji shift key that allows you pick alternate emojis printed on the keys. Both these versions have an additional feature of the change in skin tones of emojis too. This piece of wonder has already been announced and is open for pre orders on their official website here. The company claims to ship the orders from December but also stated that the dates are subject to manufacturing time taken. The standard version is priced $80 whereas the plus and pro versions have been fixed at $90 and $100 respectively. An additional $10 has been affixed as shipping cost for residents of US and $20 (which comes to £13 and AU$28) for residents of UK and Australia respectively. What are you waiting for? All set to flood your emails, texts, documents with these lively expressions? Pre-order your preferred variant now and get ready to play with your communication skills like never before. This product was an urgent need of the hour and it will solve all your emoji hassles and of course save time too; the greatest advantage being that it works as a normal keyboard too with the alphabetic as well as numerical functions running smoothly. It will be a never experience before feel and you will absolutely adore this keyboard. Built in sturdy design, this keyboard is stylish to look at and you can easily shuffle it between several devices. All you need to do is install the software for the keyboard to run with your device and 3 batteries to be installed in the keyboard itself. Just this much and you are good to go. Have fun, and make use of these ideograms with fingers playing smoothly onto the keys. This is a revolutionary product and it will definitely be a good purchase.